FUTURO™ Brand Products are a badge of empowerment—supporting possibilities, not limitations. An active lifestyle—full of vibrancy and vitality—is an aspiration many of us share. We truely believe if consumers feel energised, they’ll live a more active life, and we weave this belief into every part of each product we make. Backed by 3M, since acquiring the brand we extensively research, develop, and test both new and existing products. This is our commitment: state-of-the-art intelligence, technology and innovation featured in every innovative FUTURO™ Product. Holding over 100 patents, the FUTURO™ brand continues to lead the development of innovative products that provide optimal comfort, support and proper fit, enabling people to live life on their terms. We are able to do this by incorporating the knowledge and ongoing learning of our expert panel, composed of engineers, health and medical professionals, who extensively research, develop and test both existing and new products. In addition, we do thorough testing with consumers to understand product performance and preference. This is necessary to ensure that the FUTURO™ brand leads the category with state-of-the-art technology, materials, ideas and solutions. This is done with one goal in mind: to help our consumers get more out of every day. Comfort Feet is an award-winning leading-edge Podiatry Group that specialises in the diagnosis, medical and surgical treatment of disorders of the foot, ankle and lower extremity using the latest innovative technology such as 3D Biomechanics Assessment, Shock Wave Therapy and Therapeutic Ultrasound Treatment. Our team of Podiatrists are passionate about helping clients achieve the best possible outcomes for their foot health. Our feet are the pivotal support system of our body and especially in motion, carry all of our weight. Like wheels to a car, our feet are our only contact to the ground. Feet that are not supported effectively through the younger ages, especially in active sports; may cause prolonged health issues affecting knees, hip joints, ankles and the back. Visit comfortfeet.com.au for more information. Healthyroo is a health and lifestyle company that specialises in natural and organic functional foods. Our brand is supported by a team of passionate nutrition and health fanatics and all our products are formulated by leading dieticians. Healthyroo’s Australian factory is also HACCP and ACO certified. We create the most natural and best-tasting health food in Australia. Orthotech is proud to be one of Australia’s largest, and most dynamic, orthotic laboratories. We combine innovative technology with superior custom-made materials to deliver world-class orthoses to Podiatrists. We never compromise on quality or value. Our reach extends far beyond orthotic design and manufacture. 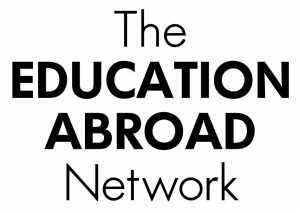 We strive to always educate and innovate, offering webinars, reading material, online portals, podiatry student education, custom client tools and access to our own orthotic materials – created by us and not available anywhere else in the world. This is part of our goal to increase the knowledge base around effective orthotic prescription – and the confidence of prescribing practitioners both in Australia and worldwide. At Physiosports our mission is to give all health professionals access to the world’s leading sporting injury clinicians and researchers. Physiosports has provided professional development courses for the last 12 years. We strive to provide a dynamic and informal environment with a focus on practical skill development through workshops, case studies and demonstrations. A key focus of all Physiosports courses is evidence-based medicine which is interwoven throughout our events with lectures, handbooks and practicums. Physiosports is a large multi-disciplinary sports medicine practice in Bayside, Melbourne. At heart we are clinicians aspiring to best practice management with every client, from elite sports people to the weekend walker. Our focus on personal and professional development of the Physiosports team led to our extensive mentoring and inservice program and has grown into our professional development program including courses and symposia. We want to provide you with courses designed to build a strong grasp of the evidence base and how to integrate this into your clinical practice. The Queensland Academy of Sport (QAS) is the breeding ground for producing the sporting champions of today and tomorrow. Supporting more than 600 athletes across 21 different sports and through individual scholarships, the Academy provides its athletes with access to world-class sporting facilities, coaching and support services. QAS also houses the first state-based Centre of Excellence for Applied Sport Science Research (COE) of its kind in Australia. R-U-Ontrak helps people achieve their unique health and activity goals that arise due to an injury or the desire to complete a challenge that is health or activity related. While R-U-Ontrak is evolving into a platform, initially it is a basic app that enables the user to set goals and track actions that contribute towards the achievement of their unique goals. Recognising that a person could have other roles, ie teacher, coach, parent, provider, etc, R-U-Ontrak will assist those people track others (with their permission) who may have an injury or a challenge. R-U-Ontrak adopts a holistic approach which considers all actions important, whether they are tracked by devices or not, are medical or physical or not. R-U-Ontrak believes that it will be of greatest value if it is used by the person in consultation with local Providers, who have domain expertise, and potentially with a multi-disciplinary group of Providers. R-U-Ontrak will capture de-identified data from users, with their consent, after they have achieved their unique goal. R-U-Ontrak will endeavour to generate insights from the data that are helpful to the user and others who may have a similar goal and/or a similar reason for the goal. By building a platform that enables Providers to connect with users and Payers to provide information to users, R-U-Ontrak hopes to assist in making this process more effective for users, more efficient for Payers and more rewarding for highly skilled Providers. Finally, R-U-Ontrak hopes to collect data from users all over the world and by combining these data, we hope to assist in improving local healthcare systems and aspects of local health, fitness and active industries, and we hope to contribute to increasing physical activity levels in local communities and eventually injury prevention approaches around the world. Our Big goal is to help millions of people achieve their Big Goal every year! TEAN provides sports medicine and sports management internships to university students from the USA and Europe. The internships are unpaid and there is no cost to hosting interns. TEAN is based in Chicago with offices in Sydney, Brisbane, Melbourne and Perth. 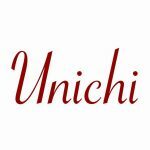 Unichi Wellness is a boutique Australian company specializing in developing premium health supplements for the global customers. Unichi employs the Australian Good Manufacturing Practice (GMP)-a set of principles and procedures to ensure the products are of the highest manufacturing quality. Unichi health products are also listed by the Australian Therapeutic Goods Administration (TGA), a government regulatory body for pharmaceutical products, meaning the products are subject to the strictest medical standards in the world.